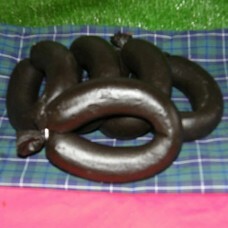 Although we are well known for our haggis our prizewinning black and white puddings are fast gaining a reputation for themselves. 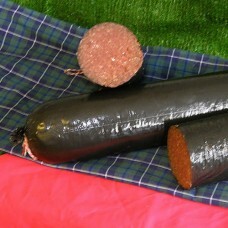 We are producing almost as much puddings as haggis these days which just goes to show you do not have to travel to Stornoway to get the best black puddings available. White Circle Pudding. 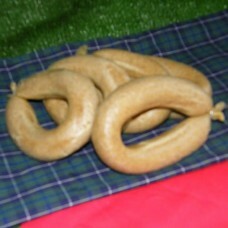 Same recipe as our white slice but made in a traditional horse shoe shaped ski..
White Slicing Pudding, our very popular white pudding. 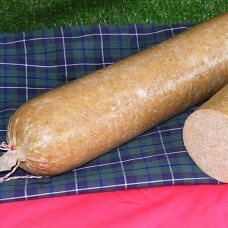 Great served in a full Scottish breakfast or ..